This month we’re celebrating 25 years of digitising at the Library. We’ve been speaking with some of our Collection Digitisation team to ask them about surprising finds or favourite items. Learn how the Library digitises newspapers; from selection of titles through conservation to the scanning of the pages. Today marks the 25th anniversary of the Library’s digitisation program. From lantern slides and glass negatives to maps, posters and sheet music, our team have made more than two million files available online. As a child, celebrated Australian author Sonya Hartnett, submitted her handmade manuscripts to publishers. In this speech she reflects on how much has changed since then. Shortly it will be the 200th anniversary of Samuel Thomas Gill’s birth in Somerset in England. STG, as he was universally known, died unrecognised on the steps of the GPO in Melbourne in 1880. 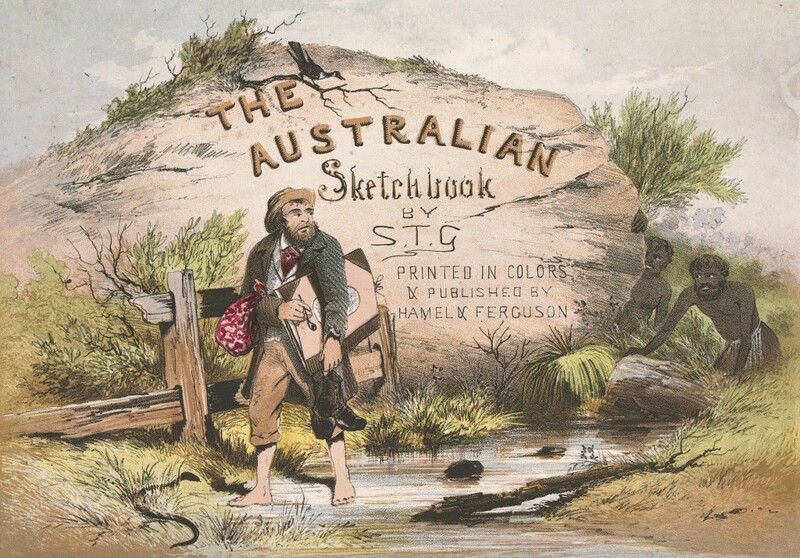 Today we paws to celebrate the work of 19th-century Australian artist ST Gill, the subject of our new exhibition Australian sketchbook: Colonial life and the art of ST Gill.